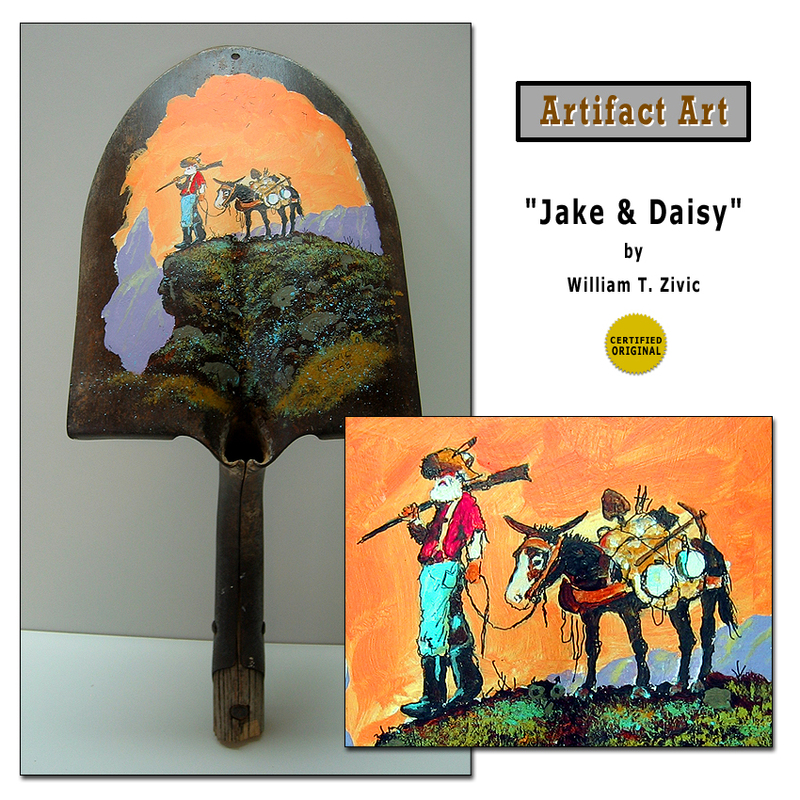 This is another Artifact Art piece -- this time painted on an antique shovel. While vultures circle, Jake surveys the Superstition Mountains and Weaver`s Needle. It was here that the legendary Lost Dutchman Mine was located. This painting is Original Acrylic and contains eight hidden images througout the painting. 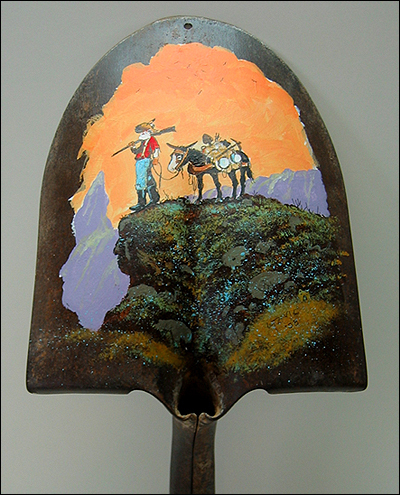 These rusty old shovels are not easy to paint on. I could sand them to bare metal, but I want the years of rust and character to remain ... so I carefully prepare only the spot for the painting.